Taking the Gospel to the unengaged and unreached groups around of the world is the first step in providing access to the Message. I was in a small Karamoja village in northern Uganda. One hundred and eighty thousand people had died of starvation the year before. On the outskirts of the village was a pile of human skulls that stood as a stark testimony to the tragedy. I picked up two of the skulls in my hands and realized that just six months before, these had been living, breathing, human beings. I wondered if anyone had ever told them the message of Jesus. Or in some cases, they just shook their head “no” as they looked at the ground. Finally, there was just one little eight year-old boy left. As I asked the question again, a tear ran down the little boy’s cheek. The experience was a seminal moment in my life. Everything inside me shouted, “It’s not fair! It’s not fair that he doesn’t have at least one chance to hear the message of Christ.” That night I prayed, “Lord, I’m only one person, but whatever I can do, I don’t want there to be any eight year-old boys—or girls, or men, or women—who don’t get one chance to know You.” Passion for those beyond the reach of the Gospel became the driving force of my life. Getting the gospel to the unengaged, unreached people groups of the world is the first step in providing access to the Message. But it is not just access that is involved. We need to present the gospel in a culturally relevant way, in the language of the people. And, it’s not just about evangelism. It’s making disciples and planting a church, so that new believers can grow to maturity in Christ. But in so many places, no one has gone to tell them. Nearly forty years after Ralph Winter challenged us to prioritize the unreached people groups of the world, there are still 3,000 groups unengaged. Why? We always quit before we get to the last languages and people groups. We send our missionaries and translate our materials into the 20% of the languages that cover 80% of the world’s population. Jesus never talked about the 80/20 rule. His words were to go into all the world, make disciples of all nations, preach the Gospel to everycreature, because He is not willing that any should perish, but that all should be brought to repentance. I hear ministry leaders talking about their new evangelism and discipleship tool. They say they’ve got it in Spanish and are working on getting it in French. And I think, “What about Dayak or Sudanese or Urdu?” And we only go to the places that we can easily pronounce. It took a while for missionaries to go to Dnepropetrovsk, Ukraine, because no one could say it. We fall in love with the process of missions, and forget the objective. Missions’ leadership is not about getting westerners to the rest. It is about facilitating workers to the neglected, from wherever those workers originate. There are 50 million believers in India today. Every people group in India could be engaged with full-time workers in the next 12 months if outside efforts would be devoted to training, equipping, and temporarily (2-3 years) giving some financial support. Financial dependency will not be created if those three years are used to build self-sufficiency through training in micro-enterprises of many kinds. We don’t have enough 21st century men and women of Issachar. As David became king of Israel, each of the 12 tribes sent thousands of soldiers for his army. The exception was the tribe of Issachar, who sent 200 men and their families who, “understood the times and knew what Israel should do.” Who are those men and women in our day? I believe they are those who know from the commands and models of Scripture, what the Lord has told us to do. And they understand our times to the extent that they know how obedient we have been or not been in making disciples of all nations or preaching the gospel to all creation. 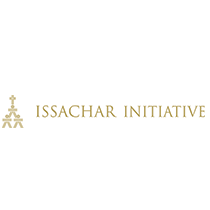 Today’s men and women of Issachar know who has been neglected and where we have not preached the gospel. We neglect the cries of the most needy and pay professionals to reach our neighbors. Almost every time I speak about unreached people groups, I hear a comment like, “We’ve got plenty of unreached people right here where we live, without worrying about groups halfway across the world.” And that’s true. There are more individuals living within already “reached” people groups, than there are in all the unreached people groups of the world. However, there is one major difference. Most people in the West have great access to the message of Christ through media, local churches, and believers. For 300 million people in the unengaged, unreached people groups of the world, there is no way, outside of divine revelation, to hear the message of Christ. There is no church, no missionary, and not one verse of Scripture translated into their language. How much longer will we wait until we go to these groups, and put them on our priority list for funding and manpower? Christian leaders are overworked and under-visioned. Today the Global Church has more than 12 million full-time pastors and workers of all kinds. They are working to the best of their ability to serve the Lord. However, they are rewarded and encouraged as it relates to how they perform in doing local ministry and meeting local needs. Very few of those they lead are saying, “Thank you for helping us take the gospel to the ends of the earth, and make disciples in these unreached people groups.” Every elder board ought to be thinking about its responsibility to the ends of the earth.